Former Broncos running back C.J. Anderson announced on Twitter that he has signed with the Carolina Panthers. According to the Panthers official website, Anderson has agreed to a one-year deal. Anderson will be joining second-year running back Christian McCaffrey in the Carolina backfield and will provide experience for a team that is loading up with young weapons for quarterback Cam Newton. 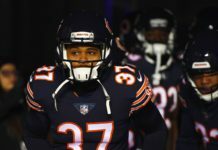 Anderson was due to make $4.5 million this season in Denver after signing a four-year contract extension prior to the 2017 season, but the veteran running back was released for cap space on April 16. 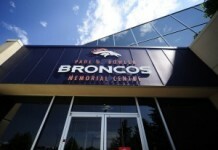 Anderson, now 27, joined the Broncos as an undrafted free agent in 2013. After making a splash in the preseason, Anderson went on to play in five games his rookie season. 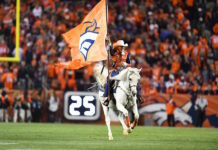 In total, Anderson played in 58 games for the Broncos, starting 36 of them. Anderson’s time in Denver was severely affected by injuries but he did rush for a career-best 1,007 yards in 2017. It will not show up in the stat book, but Anderson’s ability to step up in pass protection situations was crucial over the years. It was a big reason that he earned so many opportunities on the field. 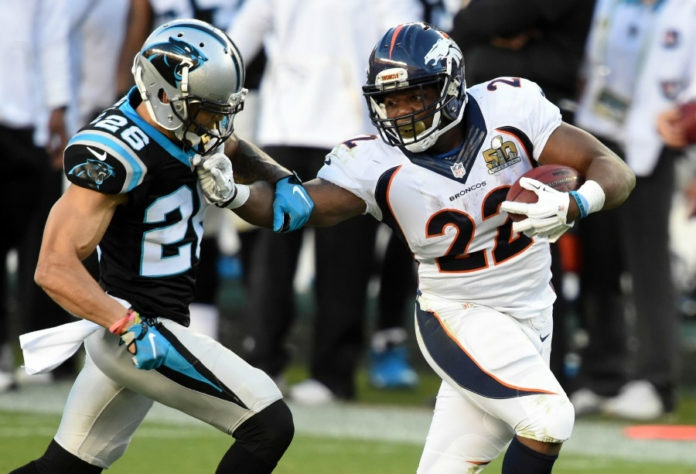 After spending the first five years of his career in Denver and winning a Super Bowl in 2015-16, Anderson now joins a Carolina backfield that will be missing Jonathan Stewart for the first time since 2008. Carolina released the former first round pick and current Panthers all-time leading rusher in February. It is unknown what type of role Anderson is expected to hold for the Panthers at this point, but there is a possibility that the veteran back could shoulder a lot of the carries between the tackles. McCaffrey recorded 80 receptions as a rookie, but he only carried the ball on the ground 117 times for an average of 3.7 yards per-carry. Anderson has averaged 4.4 yards per-carry over his career.